Why Dyanna Spa in Manhattan, NYC Differs from the Rest: 7 Facials and Body Treatments You Won’t Find in Any Other New York Spa! Though Dyanna Spa in NYC has been in business for over 20 years, it never fails to add exciting new facials and body treatments to it’s menu of beauty routines. Gold facials, caviar facials, reiki massage and more are just a few reasons Dyanna Spa has been voted a best spa in New York year after year! New Yorkers are always looking for a way to stand out. With the copious amount of people that live just on the island of Manhattan, you have to pull all the stops to get noticed. The same goes for the businesses- and especially spas. Among the hundreds of spa’s within a 5 mile radius in New York City, having new and innovative services is crucial to keep your clients excited to book their next appointment. Dyanna Body & Nail Spa in Gramercy Park, NY though a cozy neighborhood spa, ensures that the service clients receives is above and beyond what they would expect. So to keep our clients excited and eager to try new treatments, our experts have created not one, not two but SEVEN facial and body treatments you won’t find in most other salons in NYC . Blackcurrant Facial– How the Black Currant facial works is actually a revolution in natural skin care. The Black Currant facial is a new, high performance, scientifically proven facial treatment that delivers the most defenses against aging. The mask for the facial is made of Black Currant, or more specifically the seeds. That oil is rich in essential fatty acids, which promote and maintain skin’s vital functions. Essential fatty acids protect skin tissue and insulate nerves. Black Currant oil has anti-inflammatory properties, which soothes and calms down skin’s inflammation. Caviar Facial– a luxurious high performance, cutting edge treatment that also delivers the most advanced defense against aging. Your skin will cherish and benefit from the high vitamin content of the caviar and pearl. As a part of the facial you will have a rich application of gel that consists of 100% pure caviar massaged into the skin, followed by a lift-off mask, leaving the skin firm and youthful. 24K Gold Facial– The 24K Gold Facial treatment, a favorite among our clients, will improve blood flow, renew the skin, provide great antioxidants and minerals for moisturizing and firming the skin. The use of gold slows down collagen depletion, stimulates cellular growth, reduces the appearance of fine lines and wrinkles, reduces appearance of sun damaged spots, and prevents premature aging. Reiki Massage– Reiki is an ancient healing technique for the back that originated in Tibet and has been practiced for over 2,500 years now. “Reiki” means Universal Life Force. Reiki can relieve pain, boost the immune system and relieves acute problems. It has remained popular over the thousands of years across Asia, because of the universal belief that physical pain stems from emotional, mental and spiritual states. Therefore, Reiki goes beyond the symptoms to the root cause of the problem. Pomegranate Body Scrub– Pure cane sugar with potent anti-oxidants derived from organic Pomegranate juice and organic Red Apple create a gentle, natural exfoliation that leaves your skin softer because the therapist works longer and gets into areas you can’t reach easily, like the middle of your back. Body scrubs at a spa are usually combined with an application of lotion or short massage, which is relaxing. Your massage therapist rubs the aromatic scrub into your skin, removing those pesky dead skin cells and leaving your skin baby soft. Brazilian Manicure / Pedicure– guarantees the softest skin and the strongest nails. This water-less, cream-less treatment uses specially lined gloves to moisturize your skin and strengthen your nails, this process is an all natural method that will actually help your nails grow. 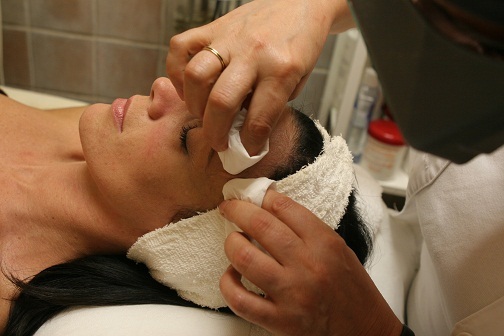 Placenta Facial– The placenta, also known as afterbirth, is full of protein, iron, and tons of vitamins and minerals, which make them excellent for the health of hair, skin, and nails. People have been using the placenta of sheep and horses as beauty aids for time immemorial, in fact. Treatments like this are more natural and they truly deliver!